The Wrenwane digital thermometer might just be one the lowest priced instant read digital thermometers on the market. While it doesn’t have every gadget and gizmo of a high-end digital thermometer, it certainly does the job of a basic instant read thermometer. The design is simple yet practical which is what many of us want out of a food thermometer. It will read the temperature of your food at a high accuracy and does so within a large range of temperatures. It will read your temperatures much faster than an analog thermometer, and it doesn’t need to be calibrated. This thermometer is the essence of a simple yet effective product. It comes with the minimum features that you need in a food thermometer, that being the ability to check temperatures quickly and accurately. 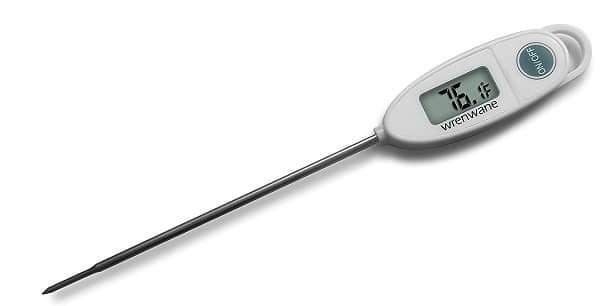 The Wrenwane is a basic thermometer but has the necessities for anyone looking for a safe way to test your foods doneness. Anyone who has made candy, a pot roast, or any other food that needs a consistent temperature will understand the help that an instant read digital thermometer gives. Whether you are a new or experienced cook, being able to tell exactly what temperature your food is at allows you to avoid overcooking the food, and keeping it at a safe level to eat. A candy dish will easily burn and be ruined if you let it get too hot, or it won’t cook correctly if too cold, so an accurate digital thermometer is imperative to successful candy making. Also, a digital thermometer offers the ability to quickly get the temperature. There is much less waiting for the temperature to be displayed than with an analog thermometer. The Wrenwane thermometer displays the temperature in Fahrenheit. The Wrenwane Company is dedicated to providing a range of home cooking and accessory products that are meant to meet the highest quality expected from its customers at very affordable price. The Wrenwane thermometer is a super simple product to use. First, insert your battery, then turn the thermometer on by pushing the large on/off button located on the front. That’s it! You are ready to use the thermometer. Make sure to push the probe into the thickest part of the meat. If you put it too far, you risk reading the temperature of your heat source. Insert the probe too shallow and you will miss the less cooked temperature of the center, which can lead to undercooked food. When you are finished using the thermometer, just make sure to clean off the probe completely. The probe can cause a cross-contamination of food if you are not careful. Wrenwane has come up with the simplest instant read thermometer for your needs. The design includes a large on/off button on the face and features a clear easy to read display that shows the temperature in Fahrenheit. The thermometer comes with a white plastic body and a metallic probe. A single LR44 alkaline button battery, which is included, is what powers the thermometer up. The speed of temperature reading is one feature that is good but has a bit of inconsistency. While the product’s website says it reads temperatures in 2-3 seconds, the Amazon page and many reviews say it is more like 5-10 seconds. This has also been true with my experience with the Wrenwane thermometer more often than not. Either way, you aren’t waiting too terribly long to get your temperature, but the inconsistency seems important to mention. Whether you are looking to check boiling water, ice cold water, or a turkey roast, the range of temperatures that the Wrenwane thermometer shows will give you a lot of flexibility. It reads between -4°F and 480°F which is great for many different uses. The thermometer is super slim and doesn’t take up much space at all. Be sure to keep it away from pens, because it can easily be mistaken for one! The thermometer comes with a tip guard, to keep you safe while the thermometer is stored. If you are jumbling around in a drawer looking for something, you don’t need to worry about accidentally stabbing yourself, since the tip is covered by a big plastic safety piece. The accuracy is a big question mark when it comes to Wrenwane. They don’t advertise the accuracy on their website or other marketing areas. The reviews on Amazon range from it being highly accurate to it being not anywhere near accurate. The fact that they don’t tell you the accuracy is a big flashing warning sign to me. I find it hard to trust a product that doesn’t tell me the details of its most important feature. Why else would you buy a thermometer except to have an accurate temperate gauge? There are no confusing buttons to figure out here. Simplicity is the key for this thermometer design. There is only one button for switching the unit on and off. The Wrenwane digital thermometer is powered by one LR44 Alkaline button battery that comes included. Who Is The Wrenwane Digital Thermometer For? The Wrenwane is a product made for the new chef, or the expert level culinary practitioner. The accuracy and speed make it a decent thermometer and is exactly what it is supposed to be. It doesn’t offer any other bells and whistles or features. That is fine because it does the job it is assigned to do. If you are one to get overwhelmed by technology, this is a great product for you. There isn’t a worry about changing settings accidentally or calibrating it once you have the product. It’s basically ready to use out of the box, and can’t be messed up. The thermometer is pre-calibrated and just needs a battery to get it going. If you are used to an analog thermometer, you will love the simplicity and accuracy of a digital thermometer. Anyone that is looking to get a digital thermometer for use on a smoker might want to check out a different style of product. A basic instant read digital thermometer like the Wrenwane digital thermometer isn’t made to read the temperature of a smoker, but only the meat inside. That means that you will be constantly opening and closing the smoker to check the temperature. If you get a digital remote wireless thermometer, you are able to see the temperature of both the smoker and the meat inside, without opening the smoker and messing with the heat. 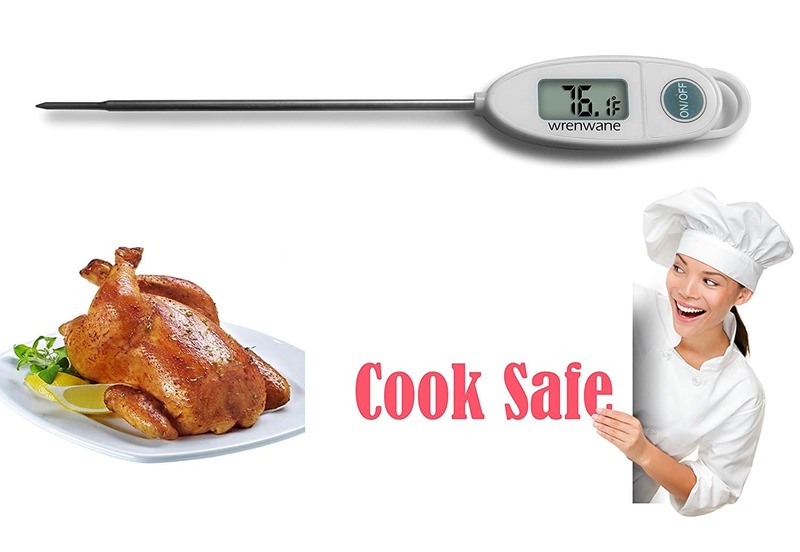 Also, if you enjoy multitasking as you cook, the Wrenwane digital thermometer might not be the best product for you. Some other thermometers will alert you when your food hits a certain temperature, and also have timer features. So if you are one to move between several cooking activities at once, but don’t want to accidentally forget your food being grilled or baked, a wireless thermometer still might be better for you. A couple good low-cost instant read thermometer alternatives to consider are the DILISS Instant Read Meat Thermometer or the ThermoPro TP03A Digital Food Cooking Thermometer. Both are worthy products with great reputations. The Wrenwane thermometer offers a simple and easy to use design. If you want a basic thermometer it is great for you. It gives a good accuracy in its temperature reading. It also gives you a wide range to read. Since it runs from -4°F and 480°F you can be confident that it will read to the temperature you need it to. The speed in which is the Wrenwane reads temperature is up for debate. Either way, the speed isn’t bad. But the fact that their marketing is not consistent is a con. It is hard to trust a company that gives mixed messages about its products. The fact that they don’t give any information about the accuracy of the thermometer is a huge red flag. Because of that, it is hard to wholeheartedly recommend the product. How are reviewers describing this thermometer? “great”, “accurate”, “easy”, “digital” and “nice”. The Wrenwane comes in at about $9, and comes with a one year, no questions asked, full refund warranty. If you are looking for a basic thermometer, this might be the one for you! The inconsistency makes me a bit reluctant about the product, but overall it is an acceptable product that will get the job done. If you are looking for a high-end thermometer you are going to pay significantly more money than you would on the Wrenwane digital thermometer. So if nothing else, it could be the best low price option for you! I hope this Wrenwane digital thermometer review was helpful for you. 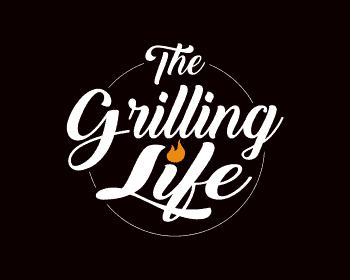 As always, if you or someone you know is interested in grilling thermometers or you find this information useful, please consider sharing it with your grilling friends and on social media! If you would like to leave a comment or have a review of your own to share on the Wrenwane digital thermometer, please do so below. We always welcome your input.